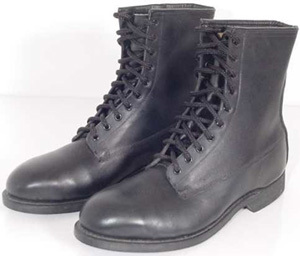 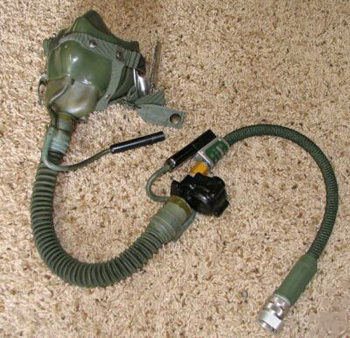 Miscelaneous images of fligt equipment used by US Navy and USMC from early 80s through today. 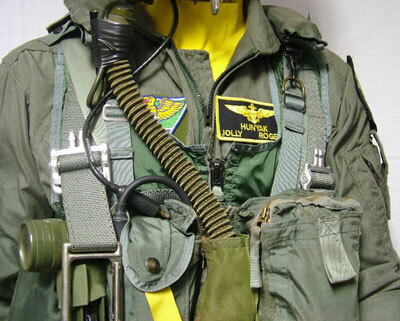 US Navy pilot flight equipment of VF-84 Jolly Rogers used during the 1979-1980. 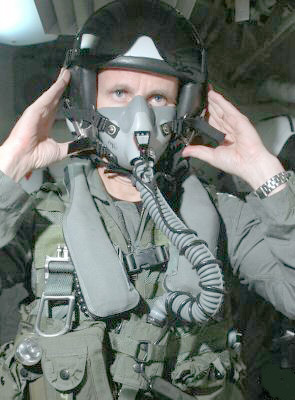 Edward "Hunyak" K. Andrews with the rank of Cdr. 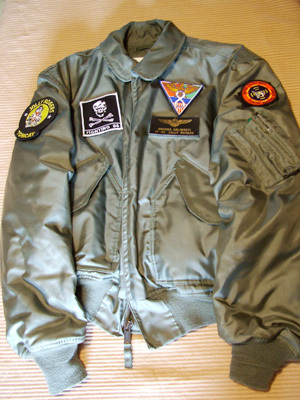 has been XO of VF-84 Jolly Rogers in 1979-1980 and CO of the same squadron in 1981-1982 with two operative cruises on board of USS Nimitz. 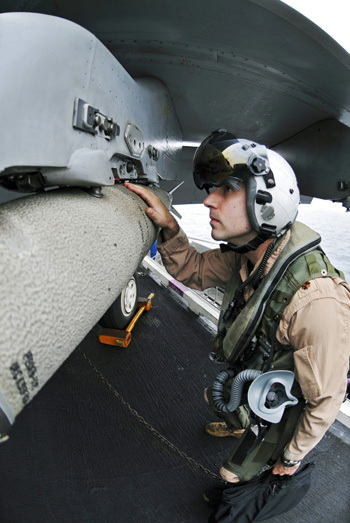 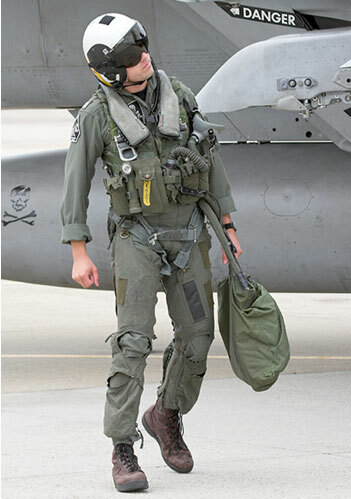 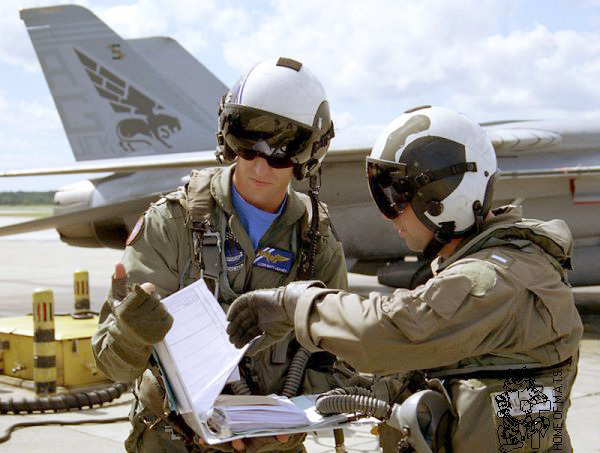 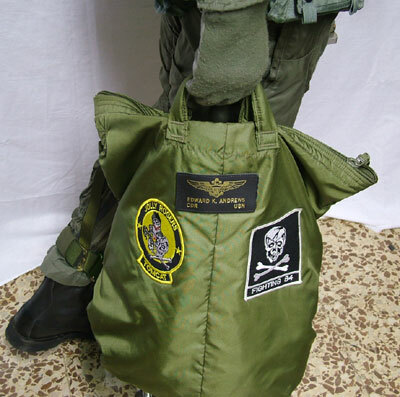 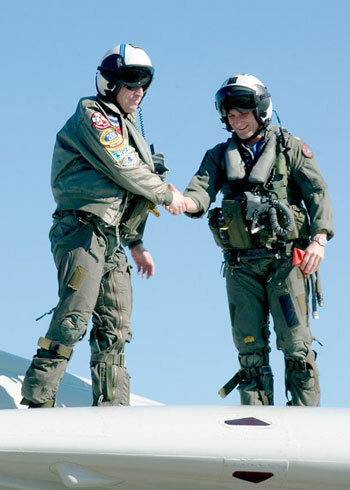 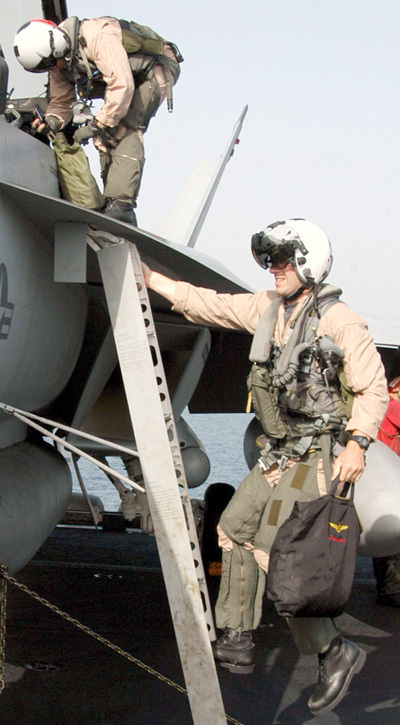 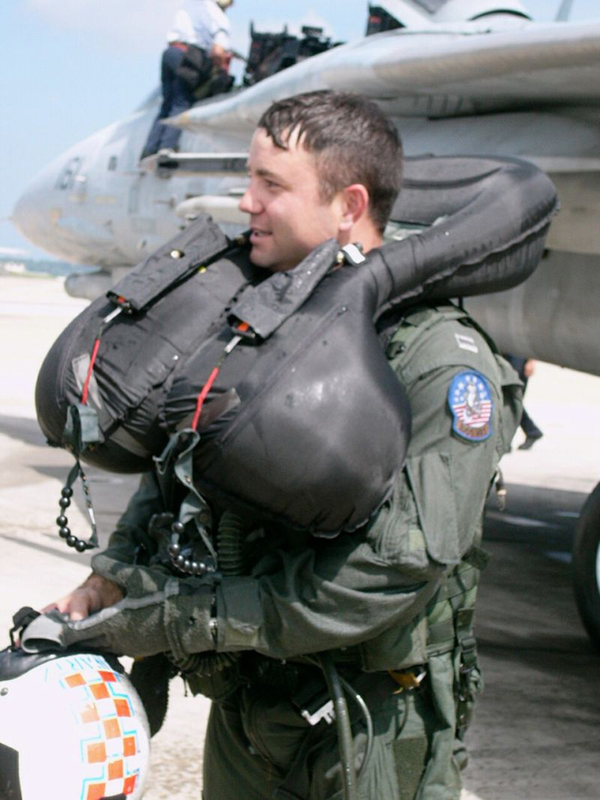 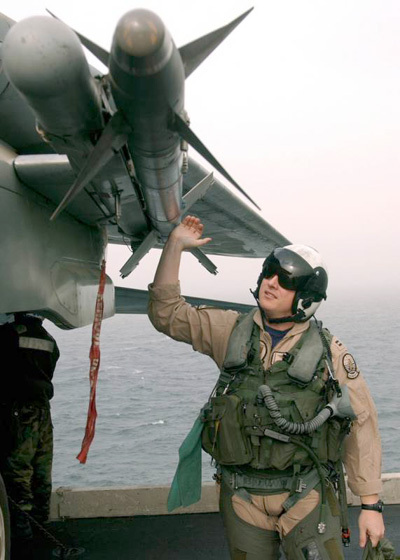 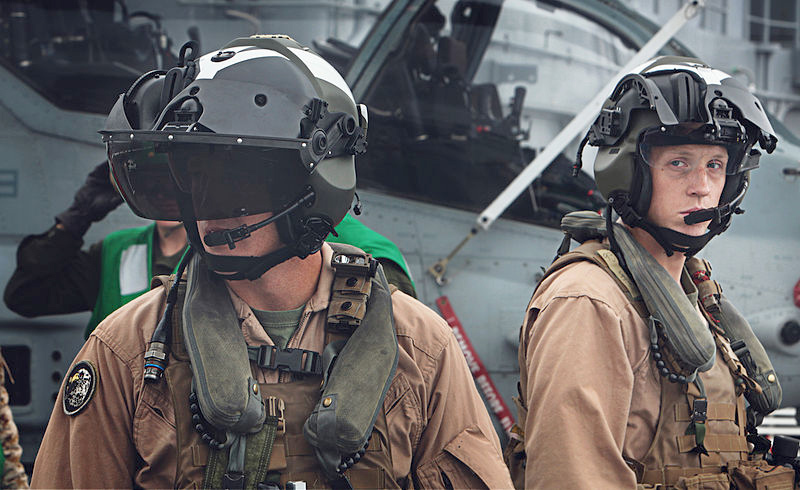 US Navy pilot flight equipment of VFA-103 Jolly Rogers used during the 2010. 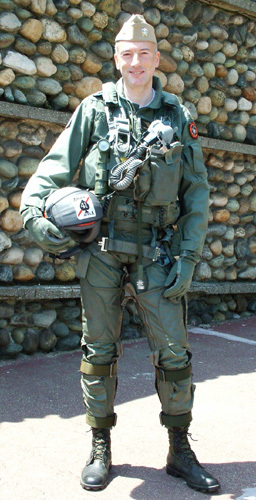 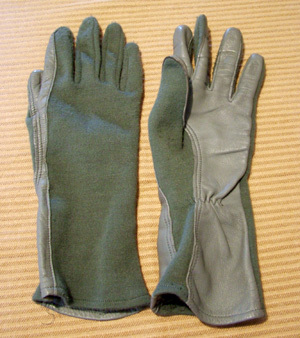 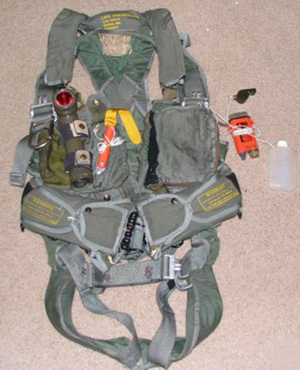 US Navy pilot flight equipment used during the 80s. 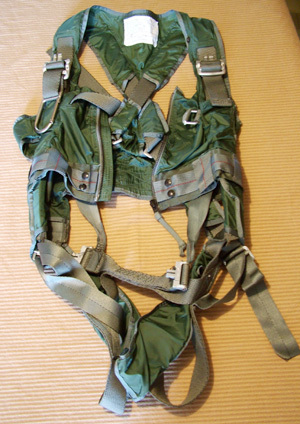 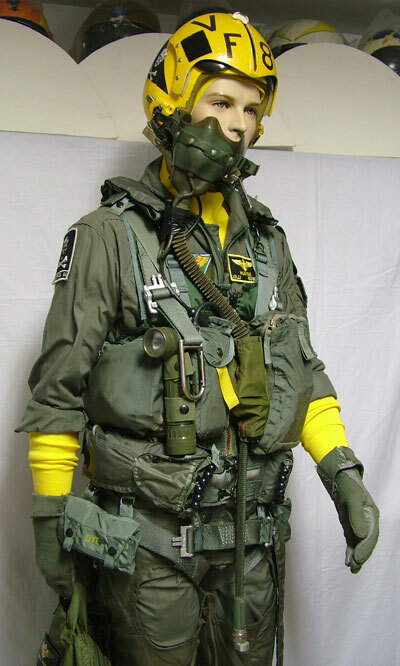 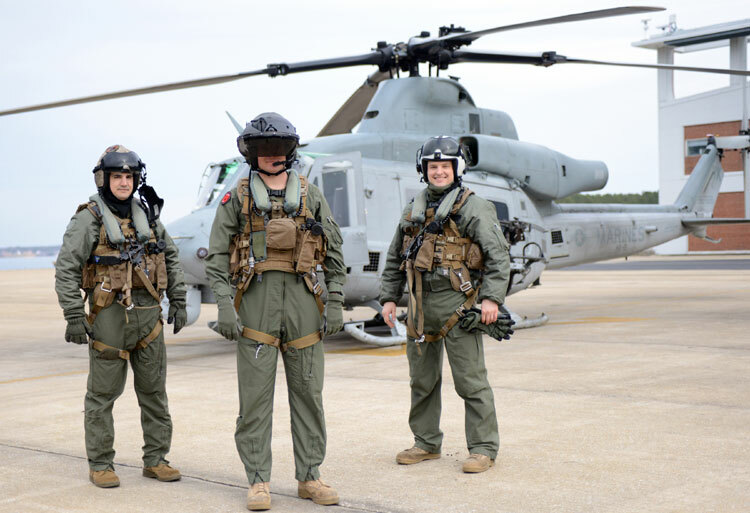 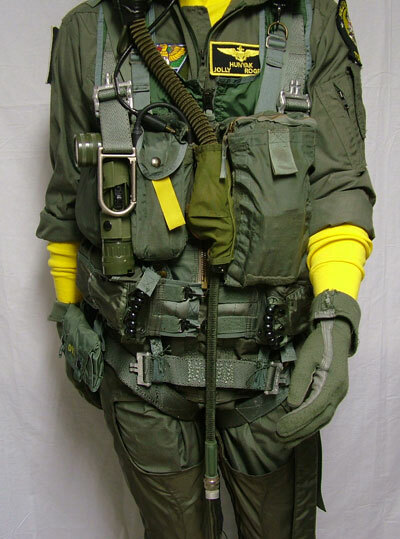 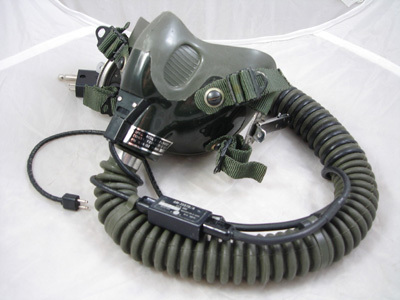 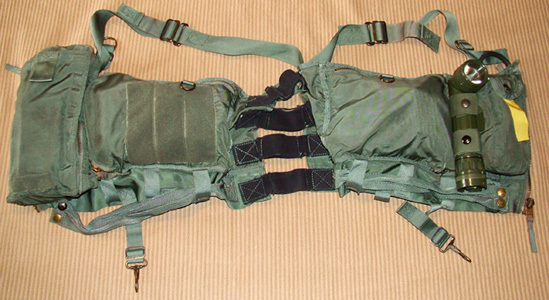 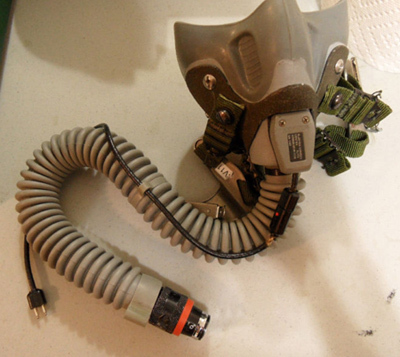 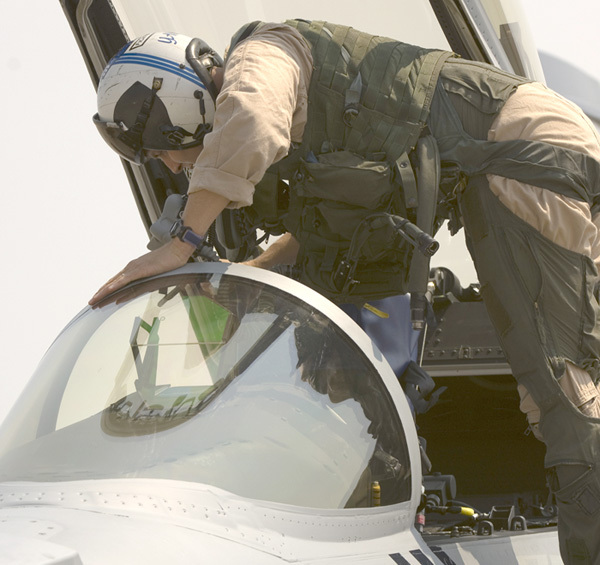 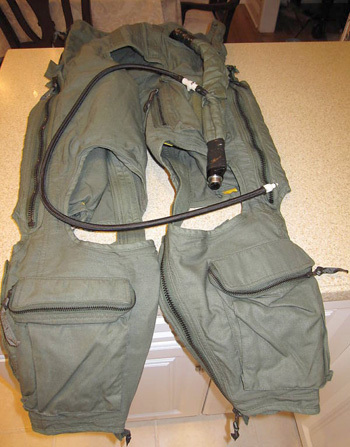 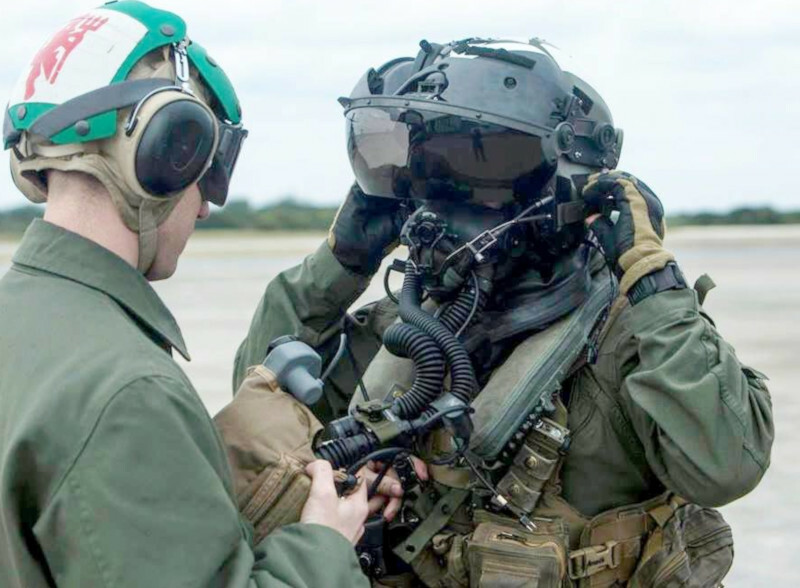 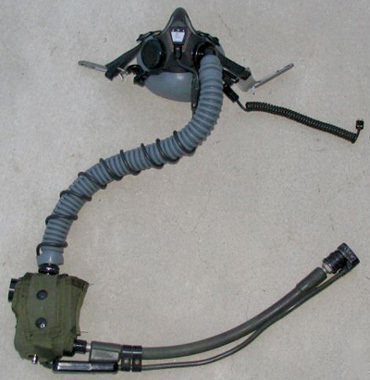 US Navy torso harness MA-2. 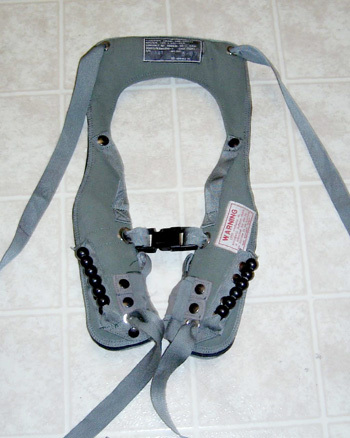 US Navy life preserver LPU-23/P. 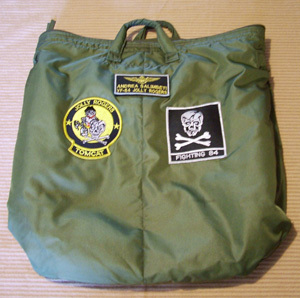 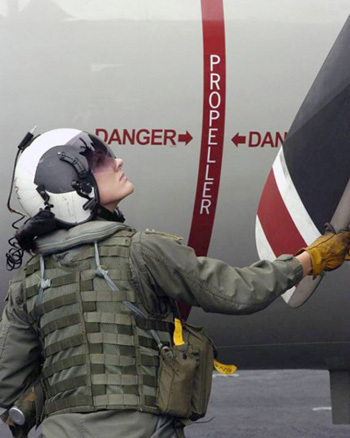 Used in aircraft equipped with ejection seat. 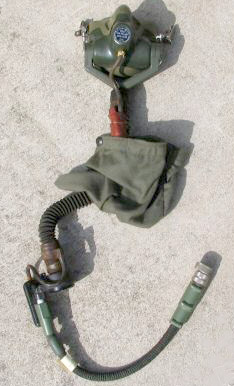 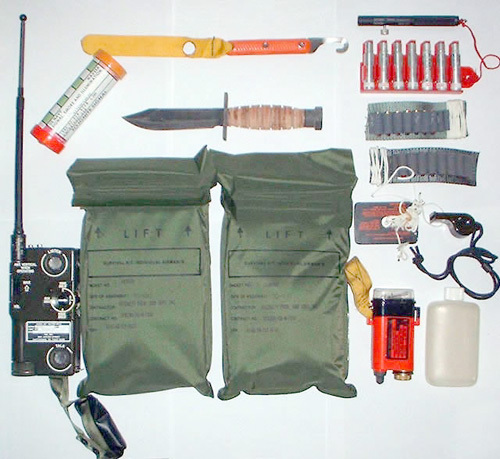 US Navy SV-2 survival vest components. 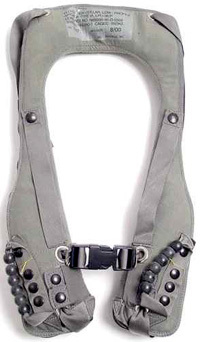 low profile flotation collar LPU-36/P. 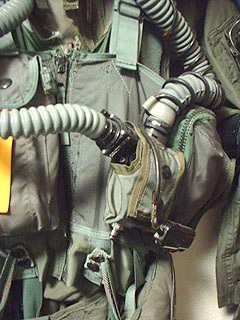 Used in aircraft equipped with ejection seat. 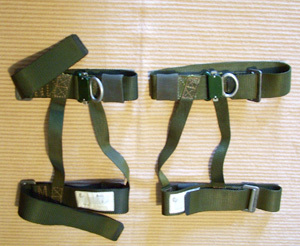 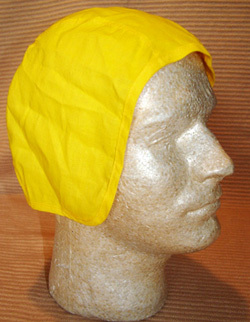 low profile flotation collar LPU-33/P. 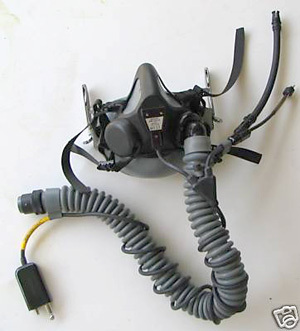 Used in aircraft equipped with ejection seat. 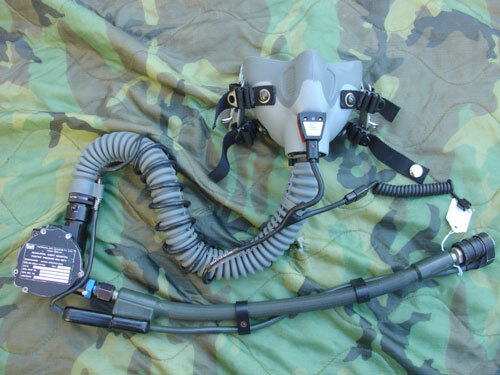 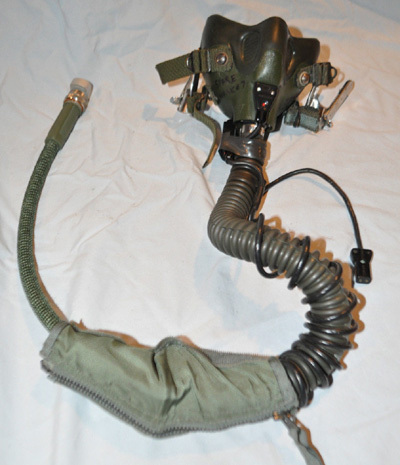 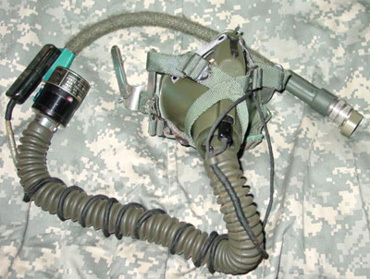 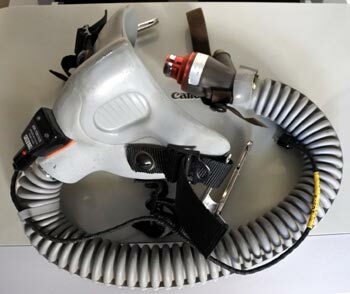 US Navy MBU-16/P oxygen mask with CRU-88/P pressure regulator. 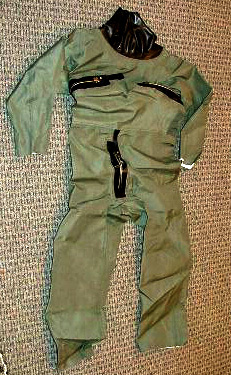 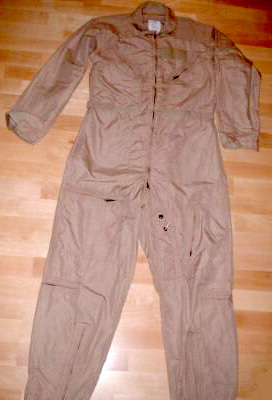 Tan color flight suit CWU-27/P. 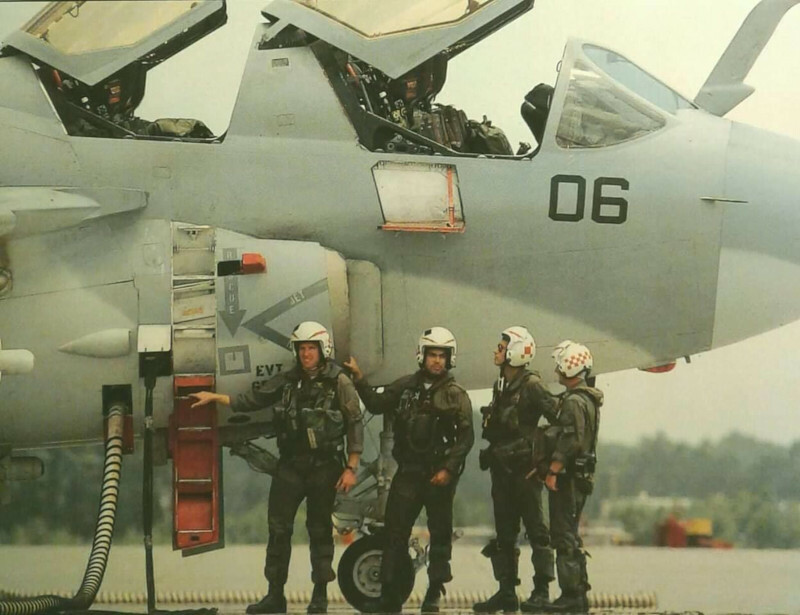 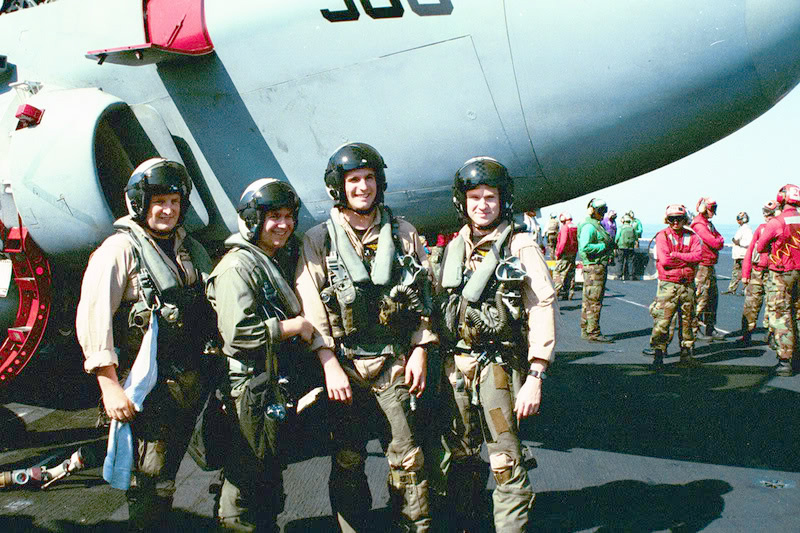 US Navy NFO from VF-114 Aardvarks during the middle of 80s. 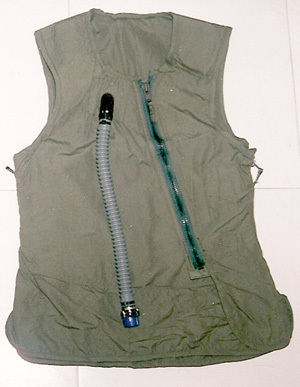 US Navy SV-2 vest with CRU-88/P oxygen pressure regulator. 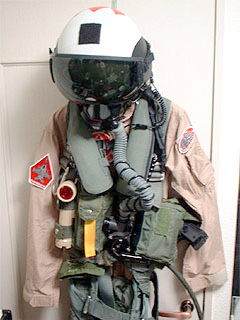 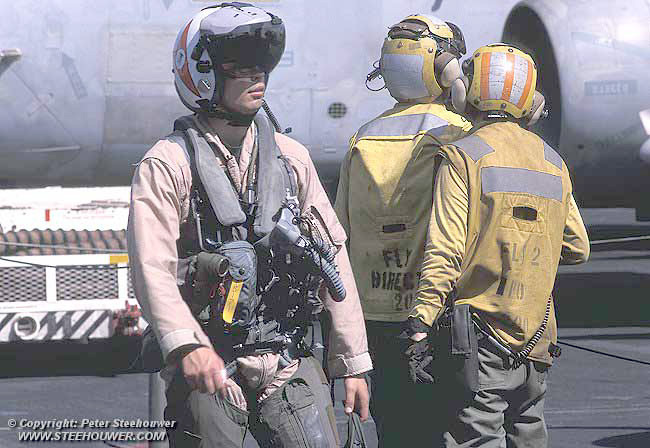 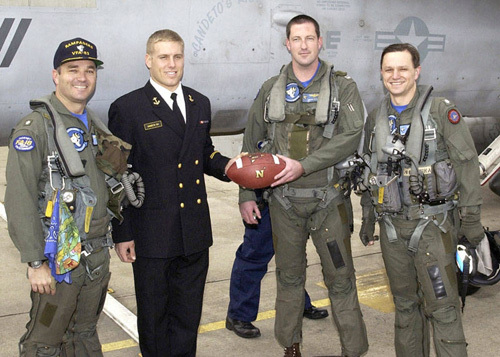 US Navy VFA-102 gear set. 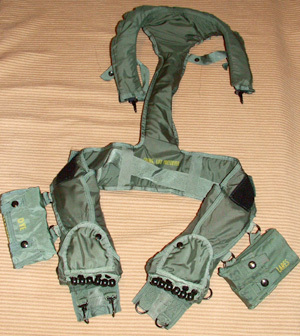 USMC modified MA-2 torso harness with LPU-23/P life preserver. 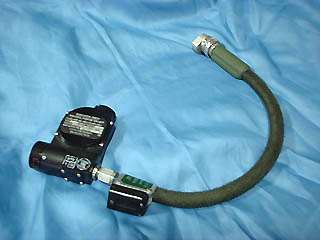 US Navy CRU-82/P oxygen pressure regulator. 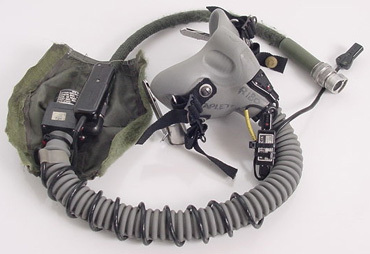 US Navy MBU-14/P with USAF MBU-12/P microphone and external amplifier. 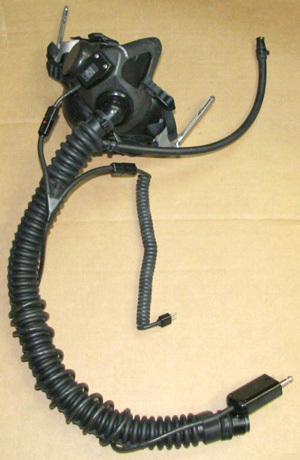 Unusual black MBU-20A/P with new US Navy microphone and combat edge hose. 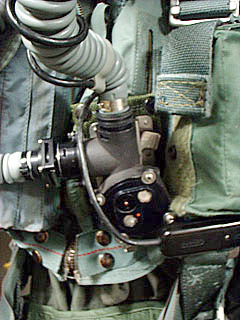 SV-2B vest pocket for CRU-103/P oxygen pressure regulator. 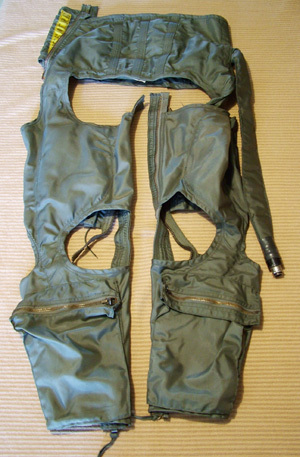 US Navy anti g pants CSU-20/P. 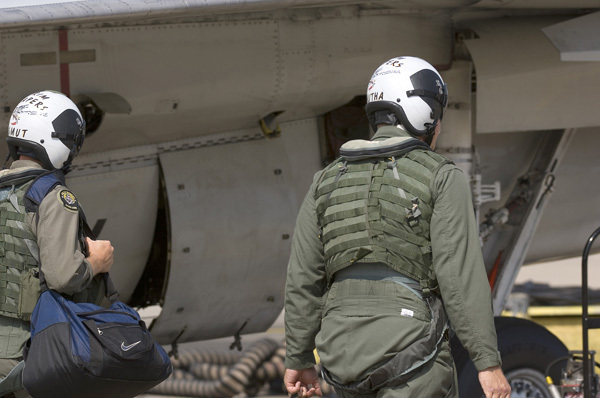 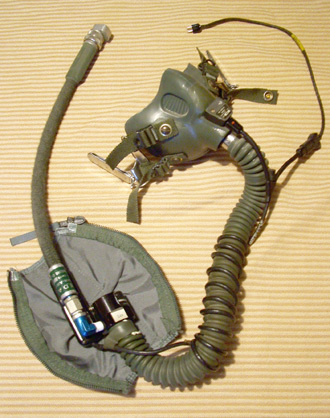 US Navy MBU-17/P Oxygen Mask as used om E-2C Hawkeye. 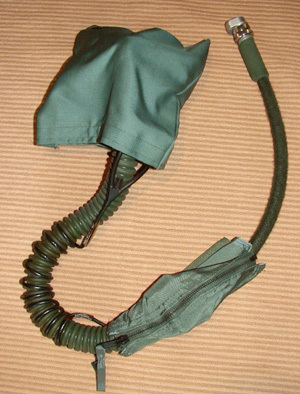 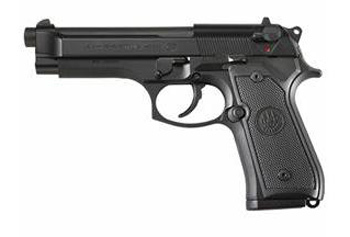 MBU-12/P with M32015/41 internal microphone and ridged bayonet face guard. 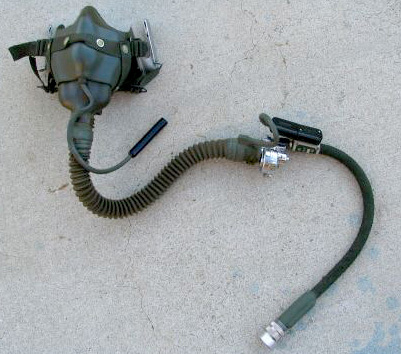 This mask was probably used on V-22 Osprey. 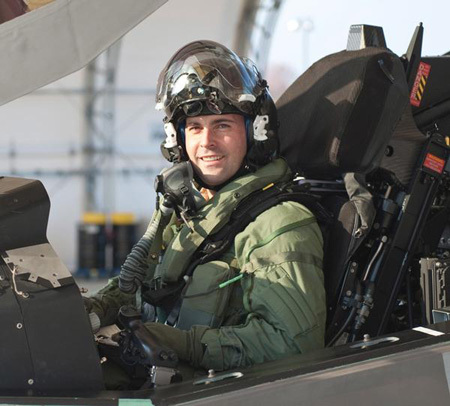 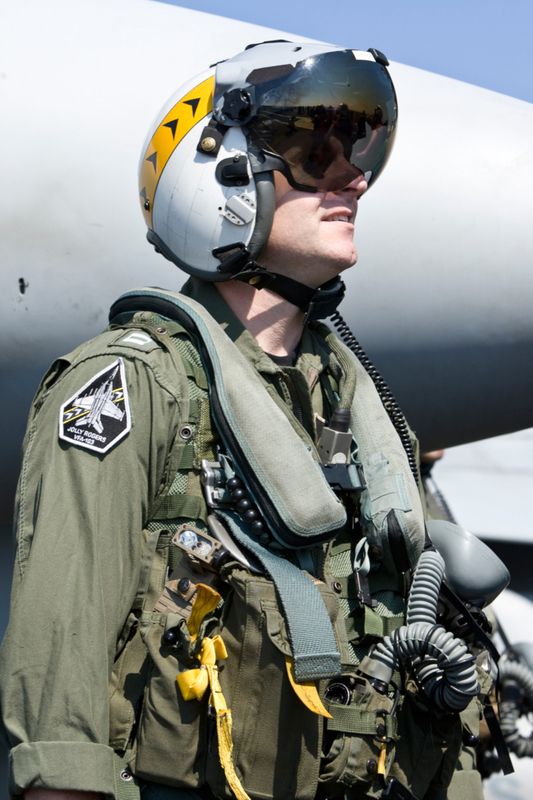 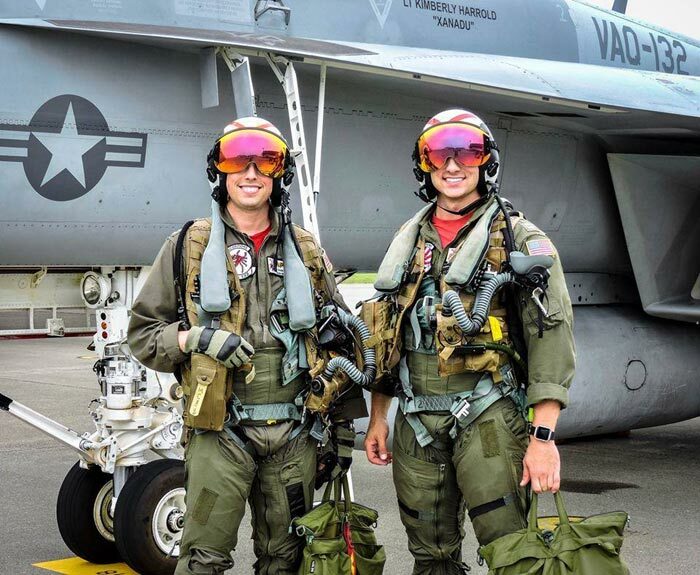 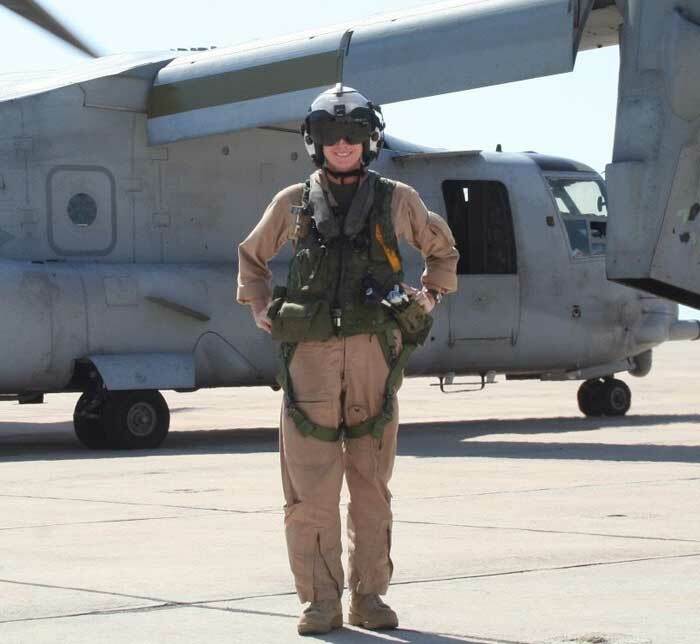 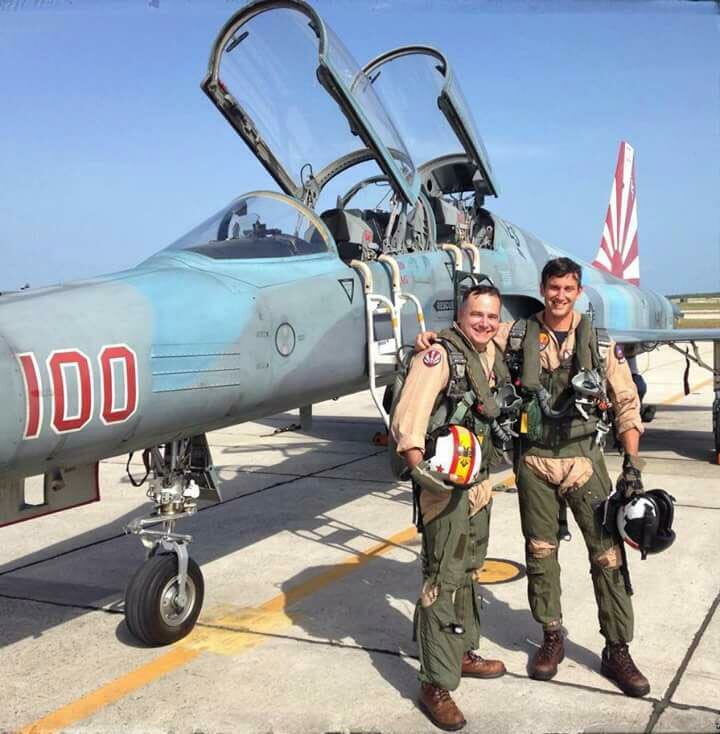 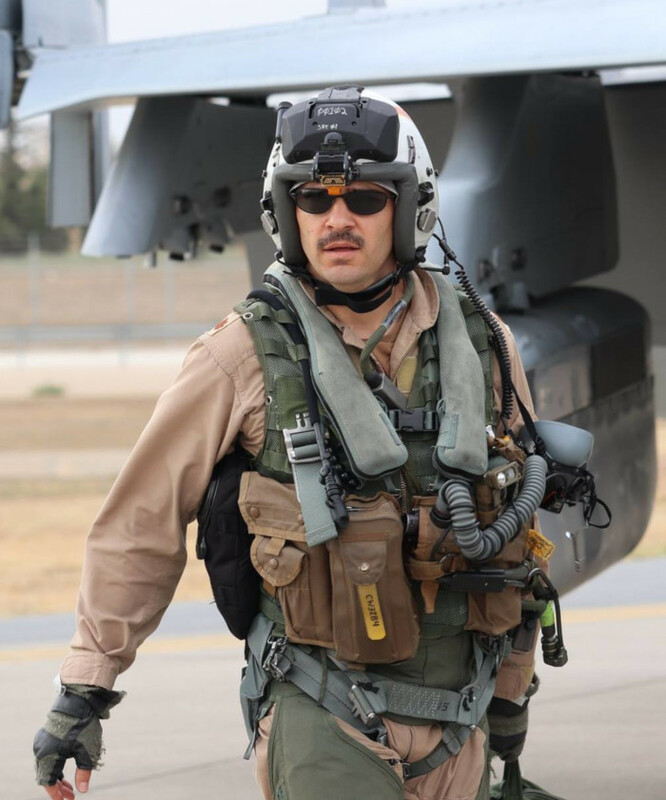 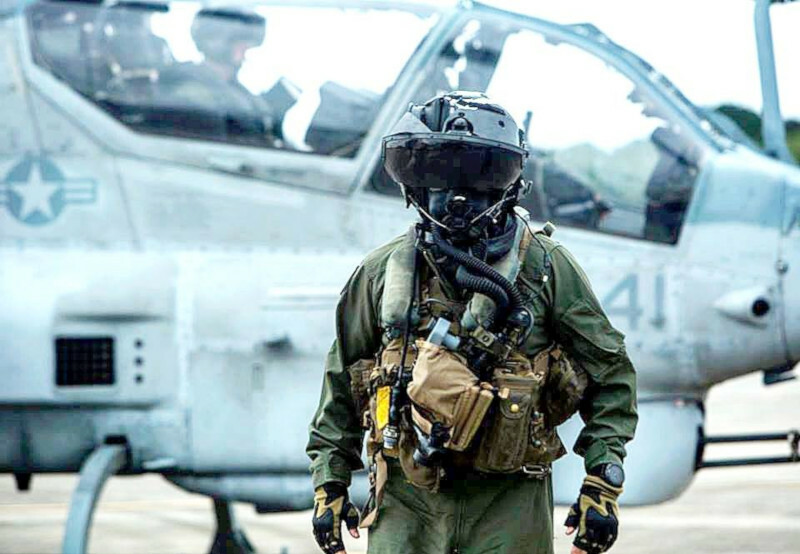 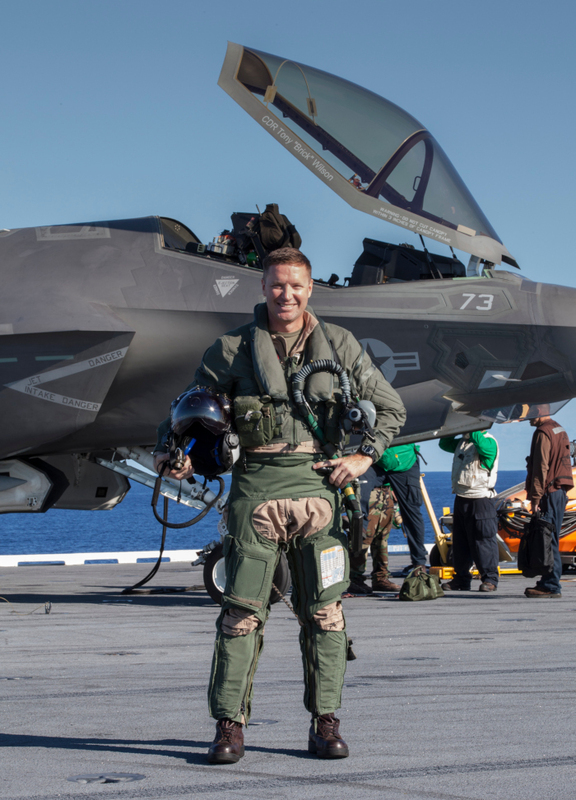 Marine Corps Maj. Richard Rusnok with the new flight equipment and HMDS flight helmet used on F-35B. 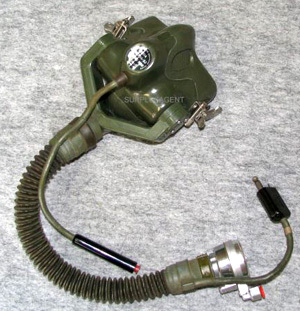 Early type of MBU-12/P used on US Navy aircraft with microphone amplificator. 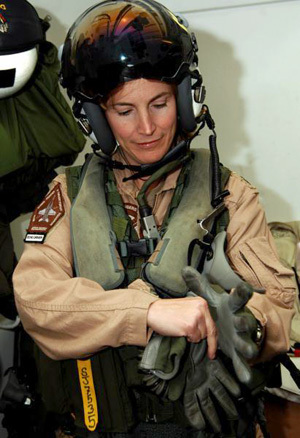 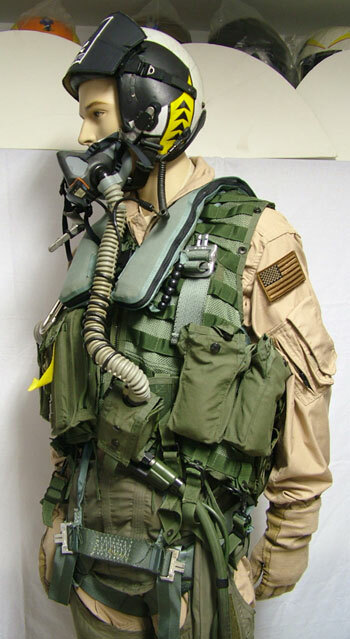 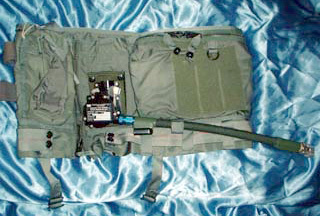 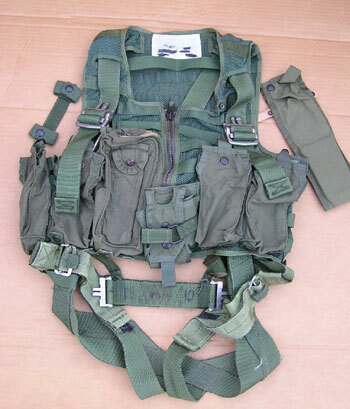 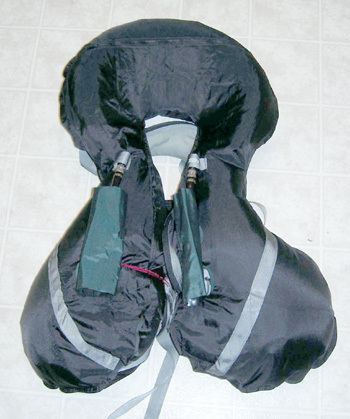 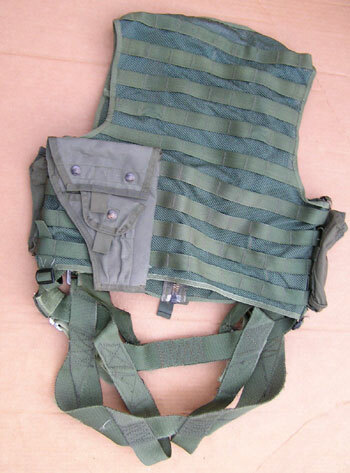 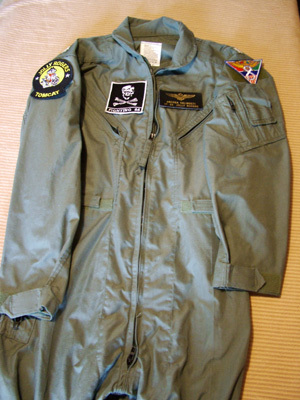 US Navy PCU-78 integrated flight vest and harness. 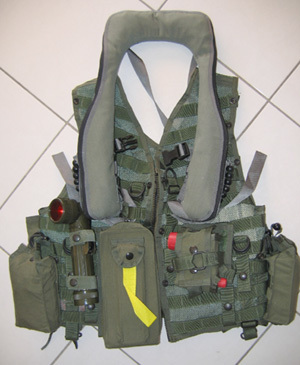 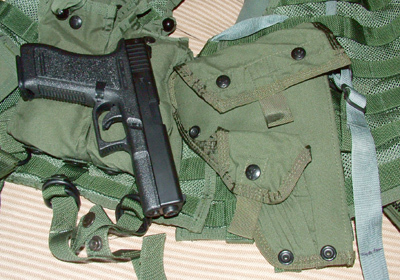 The PCU-78 is basically a PCU-56 with the molle material of the CMU-36 vest built right in.